least sandy, originally uploaded by jahansell. 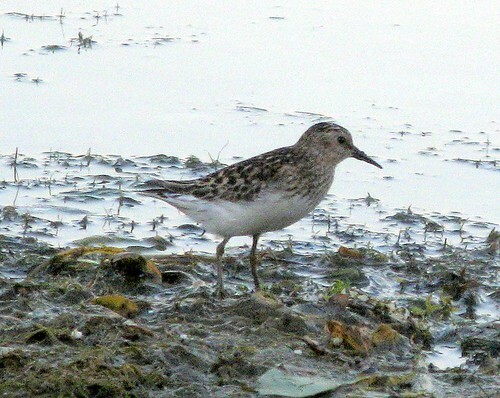 This Least Sandpiper was racing up and down the edge of the water last evening, looking for tiny yummy things to eat. They're already migrating south for the winter - how's that for depressing!